Home / baseball / Buffalo / Buffalo Bisons / CM / irish festival night / MiLB / Sports / Tuesday: Bisons annual Irish Festival Night! 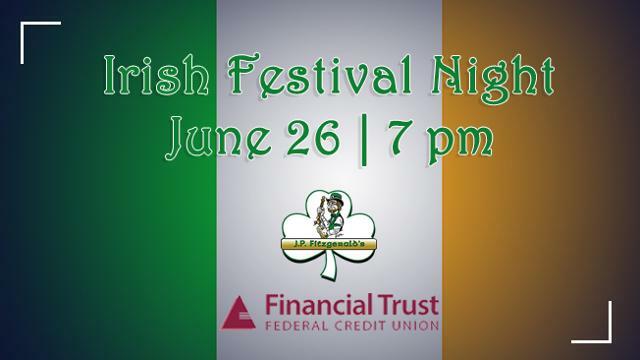 BUFFALO, N.Y. -- The Bisons are set to once again celebrate all the great communities that make up Western New York with their annual Heritage Festival Series, which lucky enough, starts with Irish Festival Night! 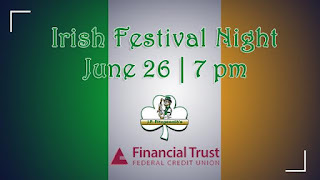 Irish Night, presented by JP Fitzgerald's and Financial Trust Federal Credit Union is Tuesday, June 26 as the Herd takes on the Pawtucket Red Sox. The game starts at 7:05 p.m., but you know the night starts much earlier than that. Irish Festival Night begins at 5:00 p.m. with a very special pregame Tent Party. From 5-7 p.m., you can enjoy corned beef sandwich ($5) and dinner ($8) specials was well as live music from the LeftOvers. There will also be special dance performances from Rince Na Tiarna and ceremonies for our Irish Night Honoree, Kevin O'Brien (MORE INFO). Then, fans can take their seat and enjoy a great Bisons game against the PawSox and fantastic postgame Fireworks Show, presented by Unyts.